LabCorp, which provides clinical laboratory and drug development services, will expand into Research Triangle Park (RTP), creating 422 jobs and investing $30 million in the new facility in Durham County. The company, whose headquarters will remain in Burlington, North Carolina, employs over 60,000 people worldwide, including more than 8,900 people in North Carolina. LabCorp’s new RTP facility will be located on a campus of buildings owned by Parmer Innovation Centers. In addition to the new positions being created, LabCorp’s new site will house existing information technology staff, along with personnel from the company’s drug-development business, now located in several sites in Durham and Wake counties. “Bringing many of our valued colleagues together at this location will enhance collaboration, and will complement our well-established diagnostic and drug development operations in RTP and in the Triad,” said David P. King, LabCorp’s CEO and chairman. LabCorp provides comprehensive clinical laboratory and end-to-end drug development services. With a mission to improve health and improve lives, LabCorp delivers world-class diagnostic solutions, brings innovative medicines to patients faster and uses technology to improve the delivery of care. The North Carolina Department of Commerce and the Economic Development Partnership of North Carolina (EDPNC) led the state’s support for the company’s expansion. 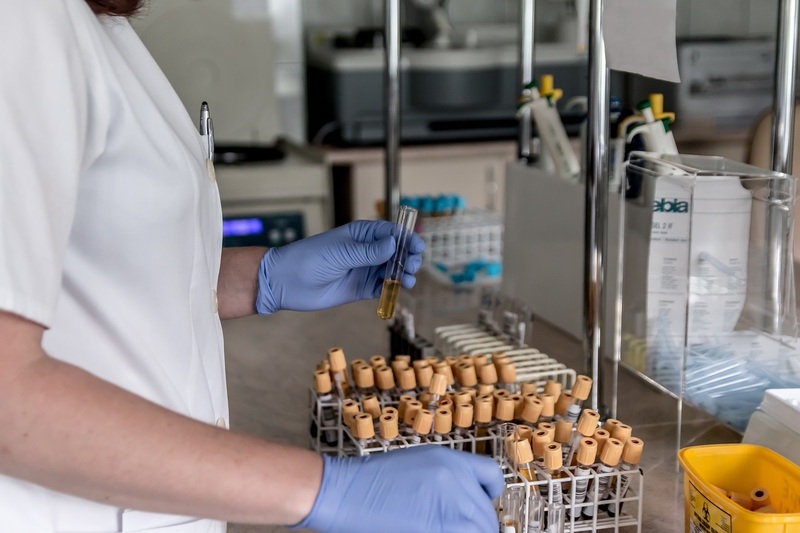 LabCorp will add a variety of positions with this expansion, including information technology designers, software developers, operations staff, and senior and middle managers. When all the new positions are filled, the total payroll impact will be $27.7 million annually. LabCorp’s expansion in Durham County will be facilitated, in part, by a Job Development Investment Grant (JDIG). Over the course of the grant’s 12-year term, the project will grow the state’s economy by an estimated $880 million. Using a formula that takes into account the new tax revenues generated by the new jobs, the JDIG agreement authorizes the potential reimbursement to the company of up to $8,172,750, spread over 12 years. State payments only occur after company has met its incremental job creation and investment targets. Because LabCorp chose to expand in Durham County, classified by the state’s economic tier system as Tier 3, the company’s JDIG agreement also calls for moving as much as $2.7 million into the state’s Industrial Development Fund – Utility Account. The Utility Account helps rural communities finance necessary infrastructure upgrades to attract future business. Even when new jobs are created in a Tier 3 county such as Durham, the new tax revenue generated through JDIG grants helps more economically challenged communities anywhere in the state. Partnering with Commerce and the EDPNC on this project were the North Carolina General Assembly, the North Carolina Community College System, Durham Technical Community College, Karlin Real Estate, CBRE, Durham County, and the Greater Durham Chamber of Commerce.